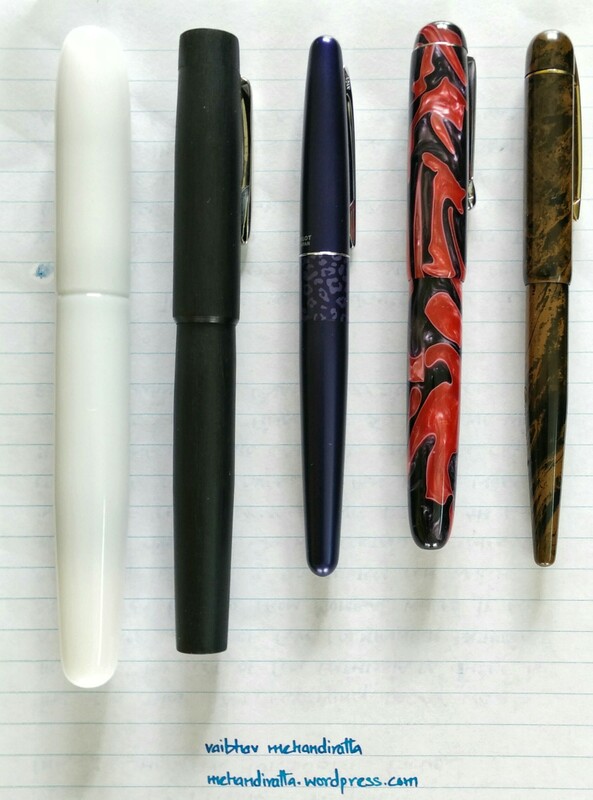 There is a brief history about the pen that I am reviewing today. 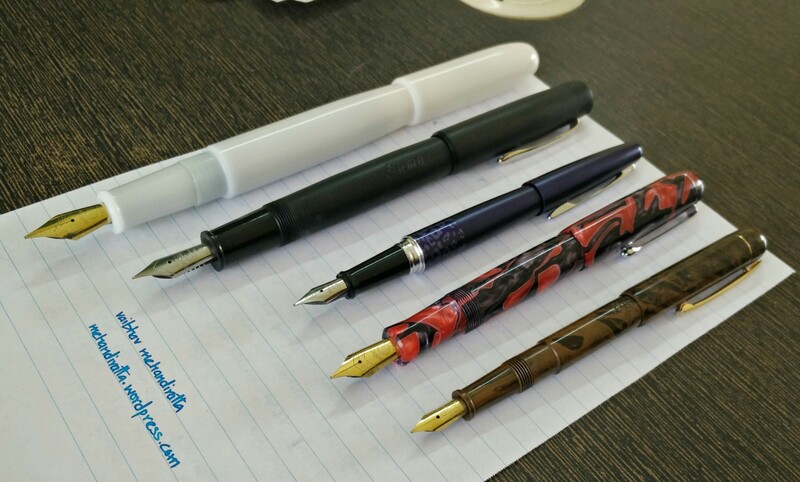 There was always an urge to design and get a customized pen and actually get executed. 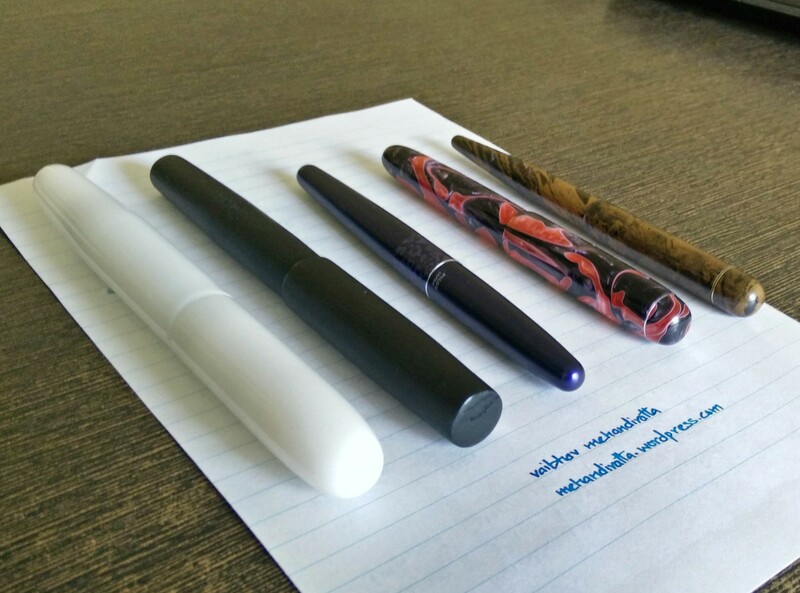 It all started when Pradeep from Mumbai took initiative to bring all like minded crazy people who just love fountain pen and actually are real serious about them. One fine day Sulagno (I hope i have spelled his name correctly) asked why cant we do a customized pen and seeing an opportunity i jumped in and gave certain design inputs and offered to do CAD drafting for the same. 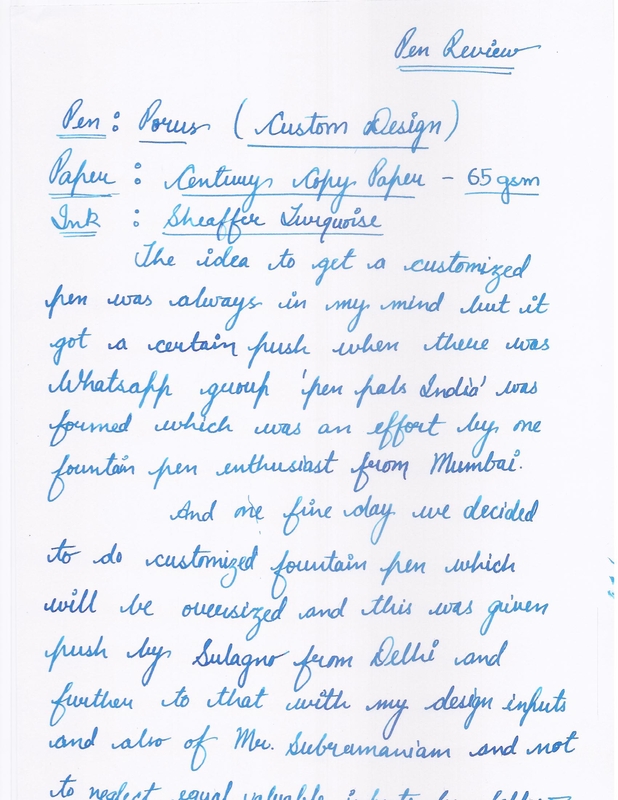 What came out is a series of design inputs by Me, Sulagno, Rakshit, Pradeep, Anirban Bhattacharya, Burhan (from Singapore) and not to miss out Mr. Subramaniam of ASA Pens, who was the guy who gave certain technical inputs and who in actual executed one more custom pen after the SNIPER. 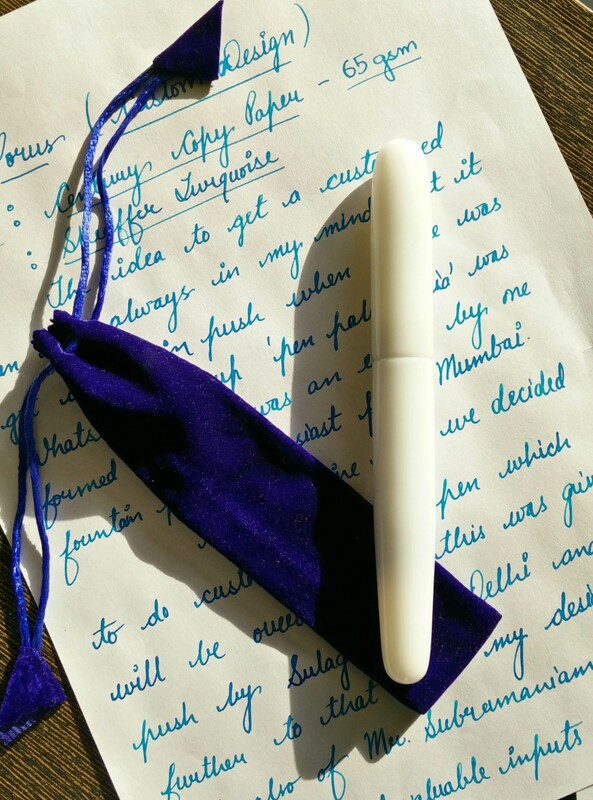 So here we are with new pristine white pen PORUS (named after Great Indian King- Porus, who was well built and tall). 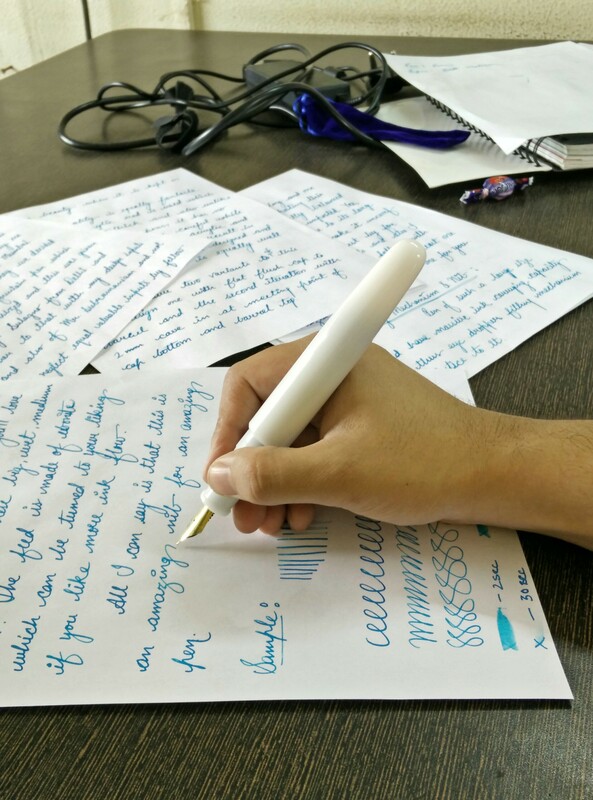 There were lot of iterations done for the design of the Pen. 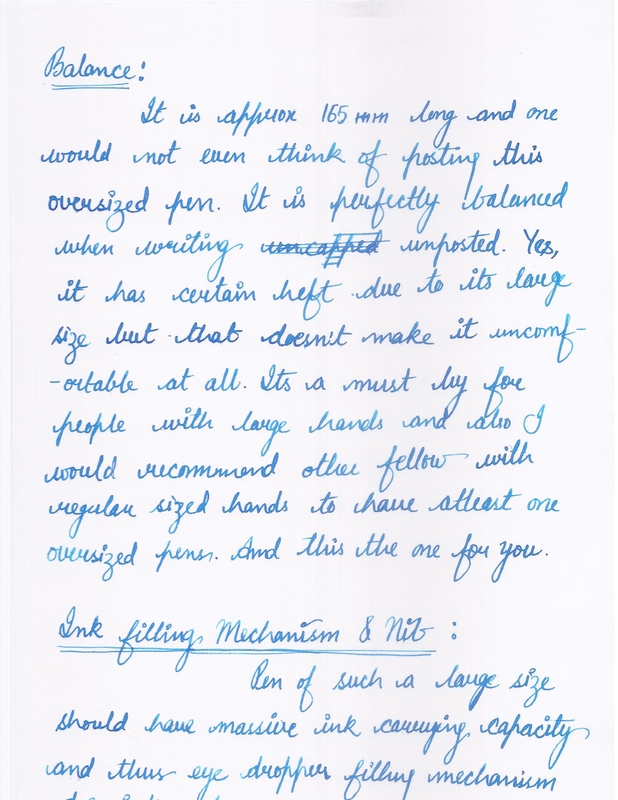 Pen had to be over sized, fat pen with long grip section that criteria was clear from the beginning. Three iteration were made, one flat top straight shaped, second stepped design and third the cigar shaped and lot of liking went for the cigar shaped and it was finalized for design. 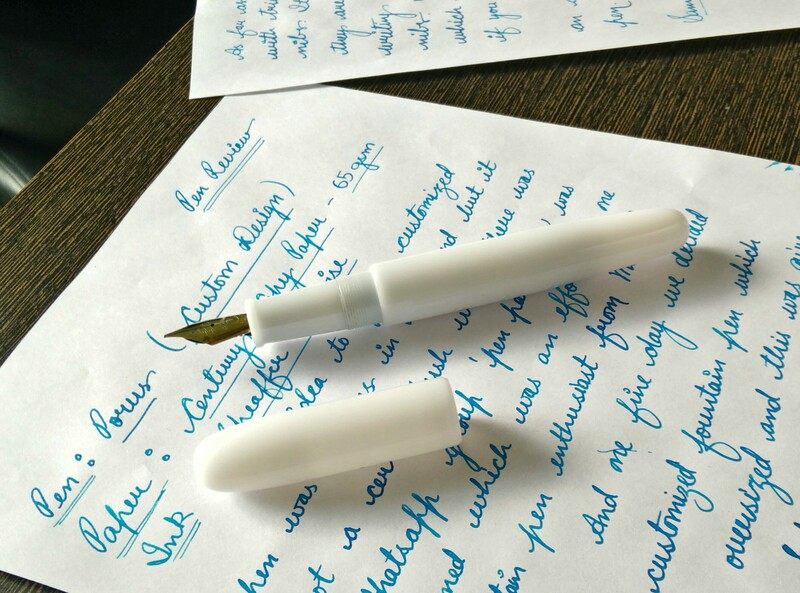 It is designed to be clip less pen to give it a minimalist look. 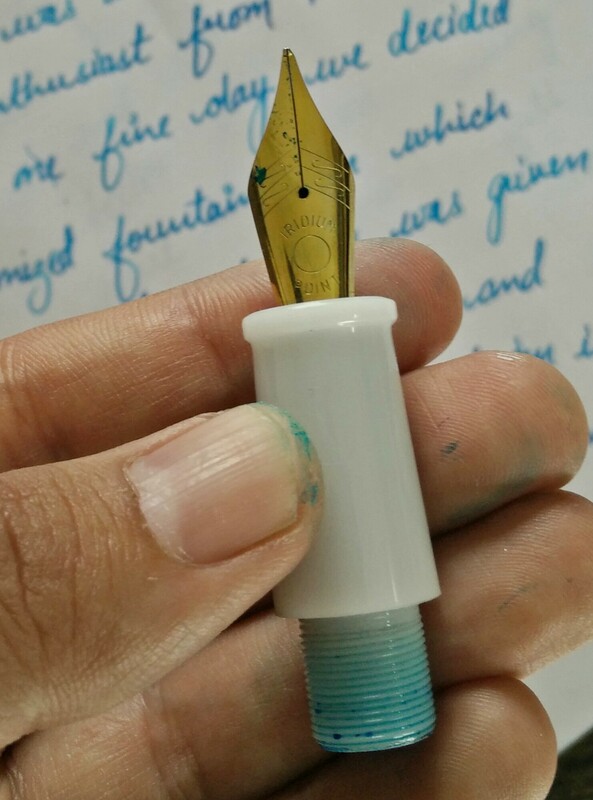 This is a no fuss design with no metal parts except the nib. It is a pure beauty when kept on the table. Just so clean, simple and elegant. 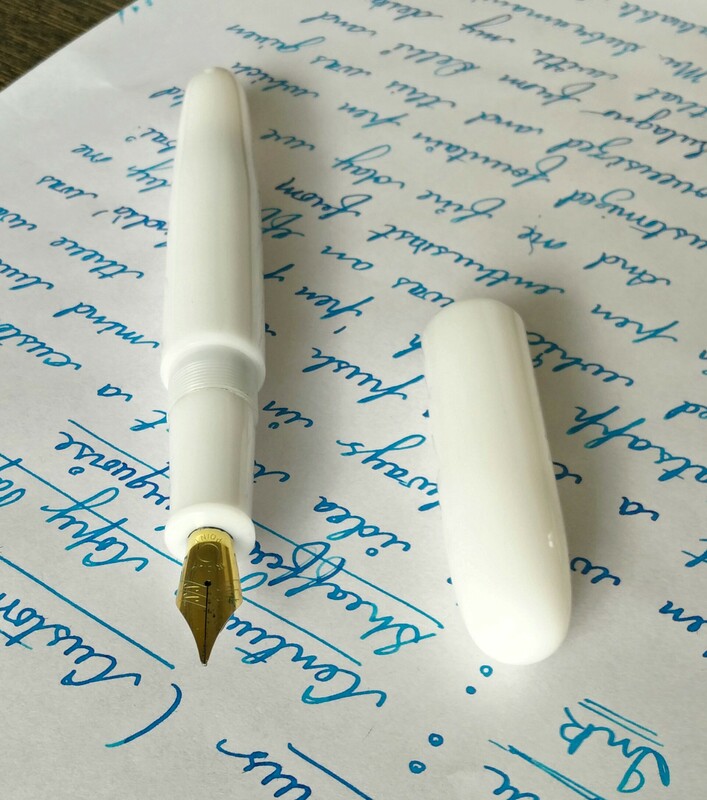 This is a pristine white pious pen. Sign of peace. 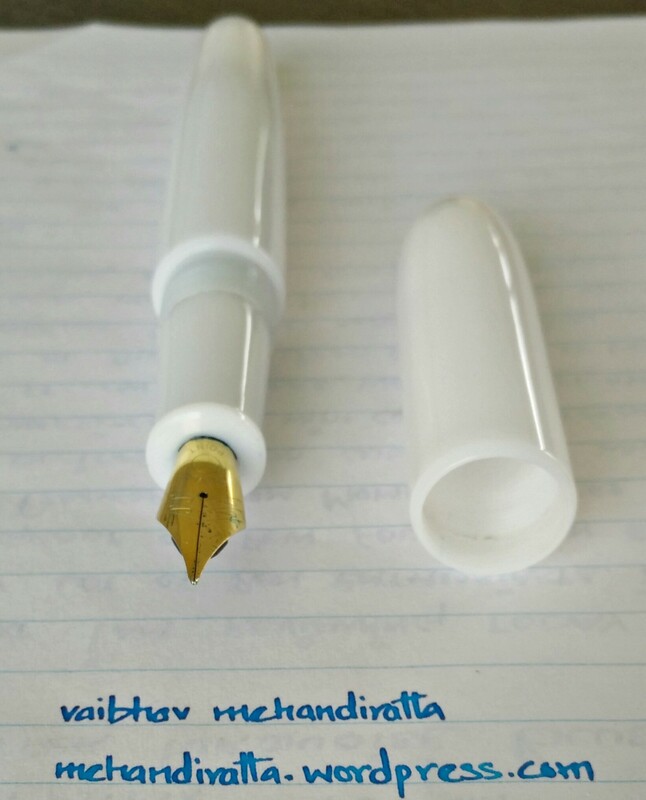 Made of out of high quality white acrylic this pen has thick acrylic section and has fantastic built quality. Seems well built. however i will be careful to use it as it is milky white and top of that it is acrylic and has a bit of heft. A fall here or there might give certain crack or damage the pen. So I take precaution while using it for sure. 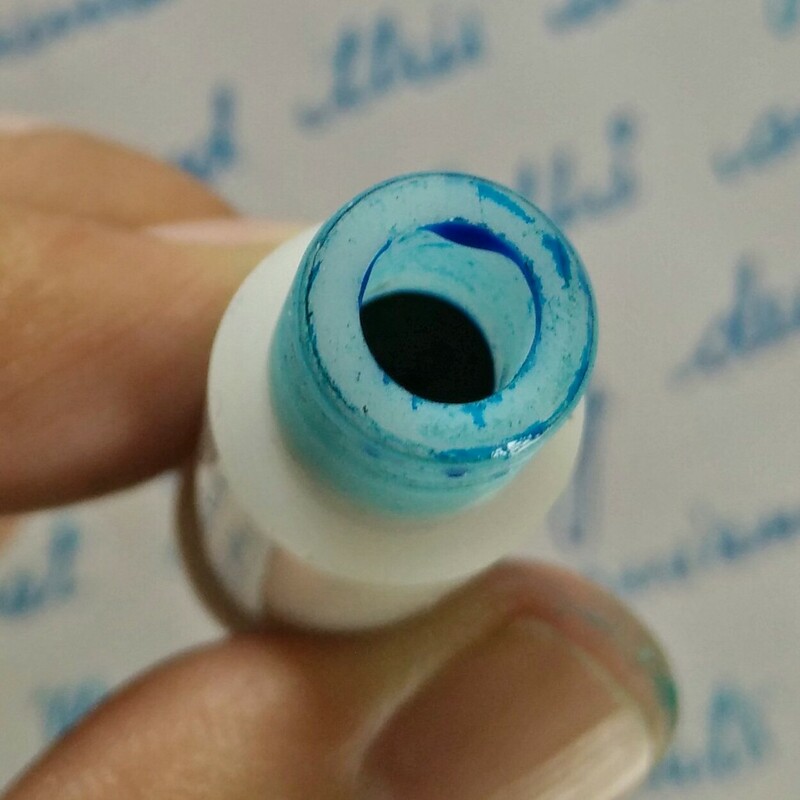 To add to this unlike other Indian acrylic cheap pens it has no Odor. 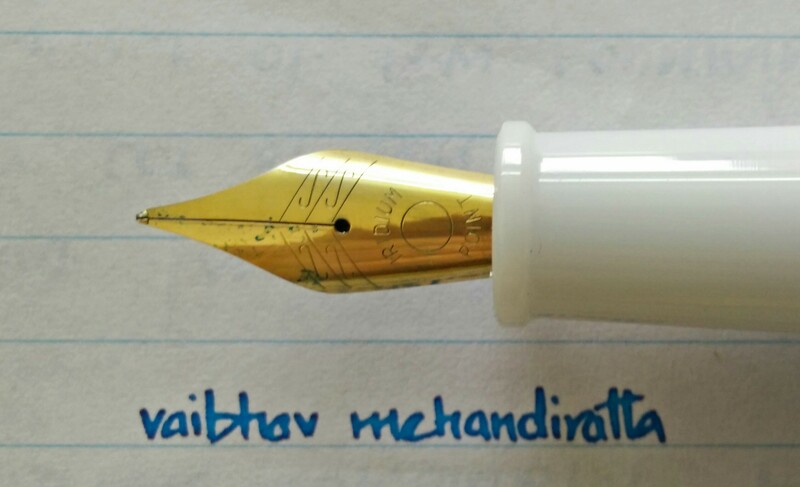 Overall a well designed and executed pen which is equally well built. Now moving to certain details. 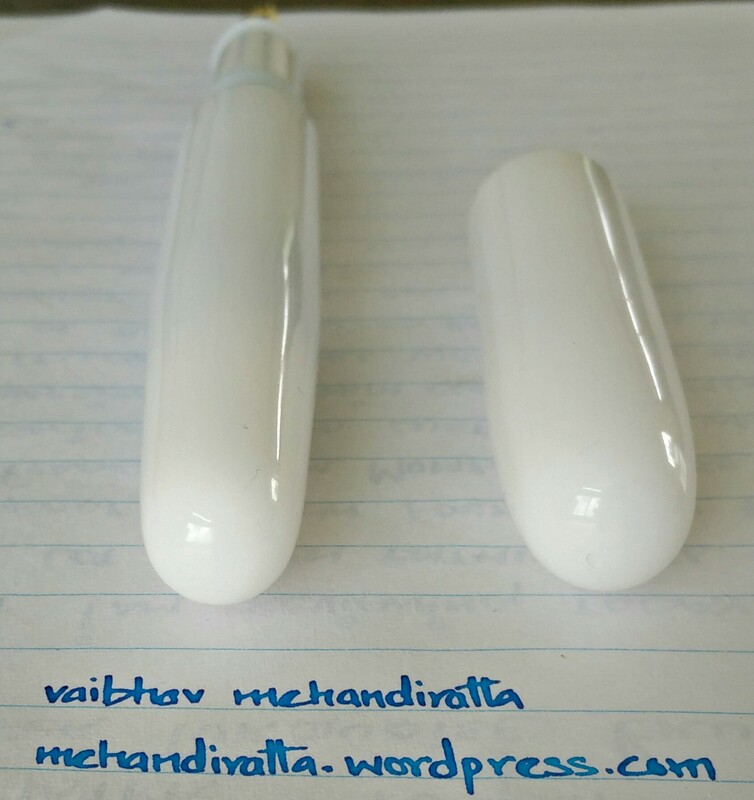 The pen has rounded cap top and rounded barrel bottom which is quite evident in the pictures. 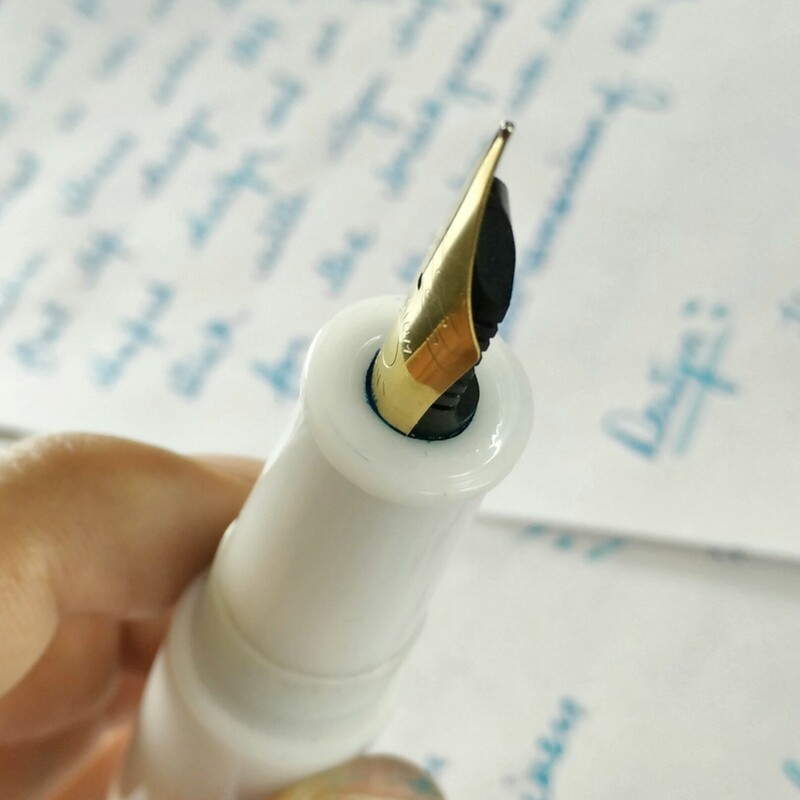 The pen opens in 7 turns which i beleive is bit on higher side. Can certainly be reduced. But that doesn’t take way the credit of amazing built quality of pen. 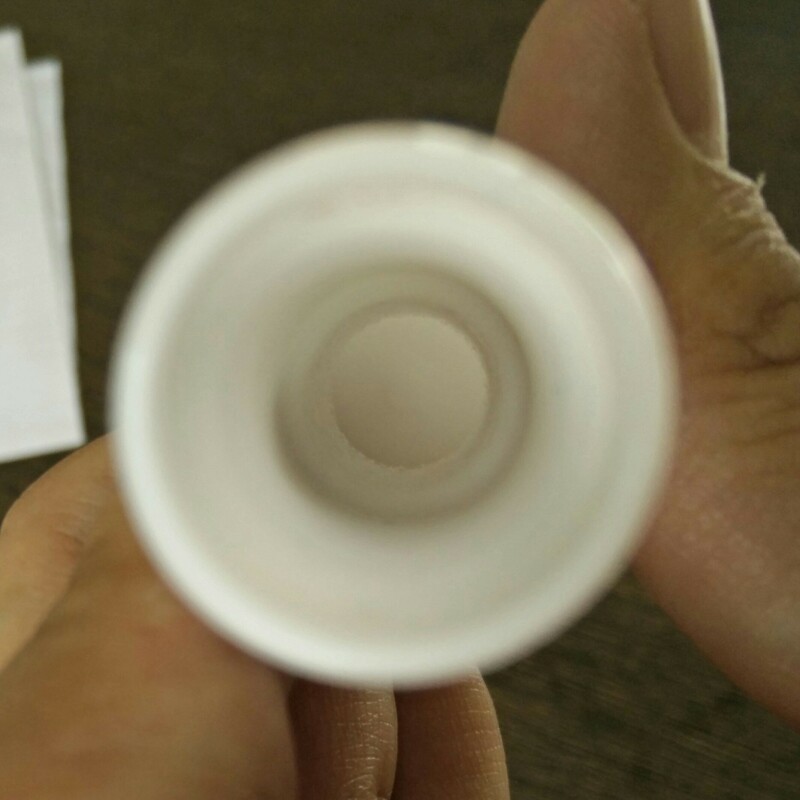 Cap has in built inner lining and has breather hole to avoid moist deposits inside the cap. 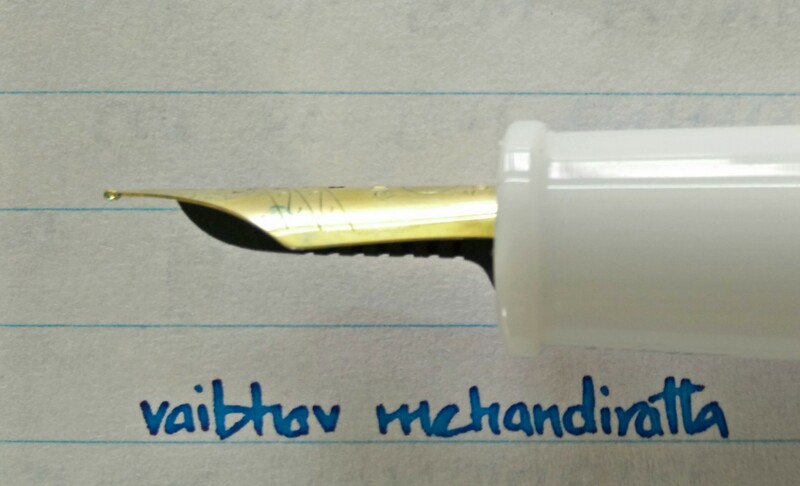 So that nib can breathe. Images below might give clearer picture. 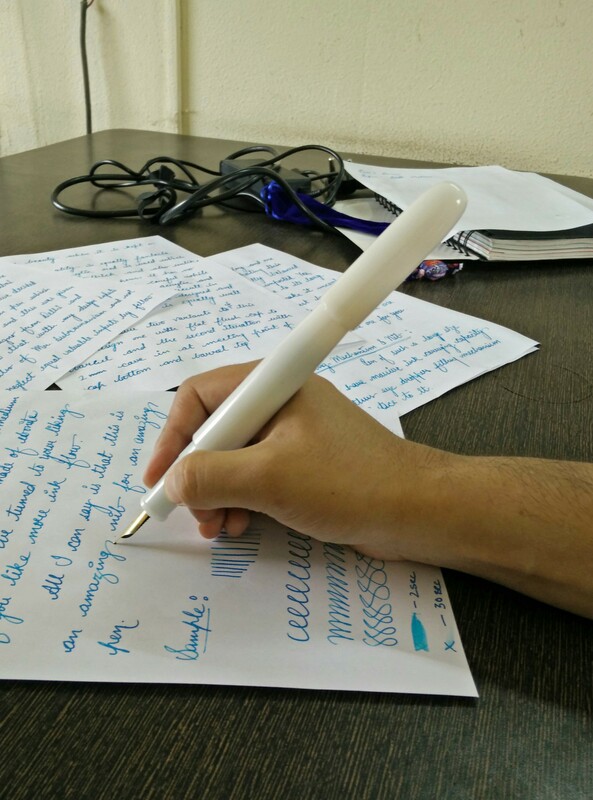 The pen is over sized jumbo pen which you can have an idea from few images below. The below image shows the different profile of the cap tops. 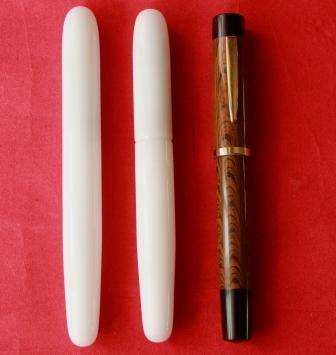 Below are the two images of pens with cap posted at back and you can have an idea of shear big size of ASA Porus. 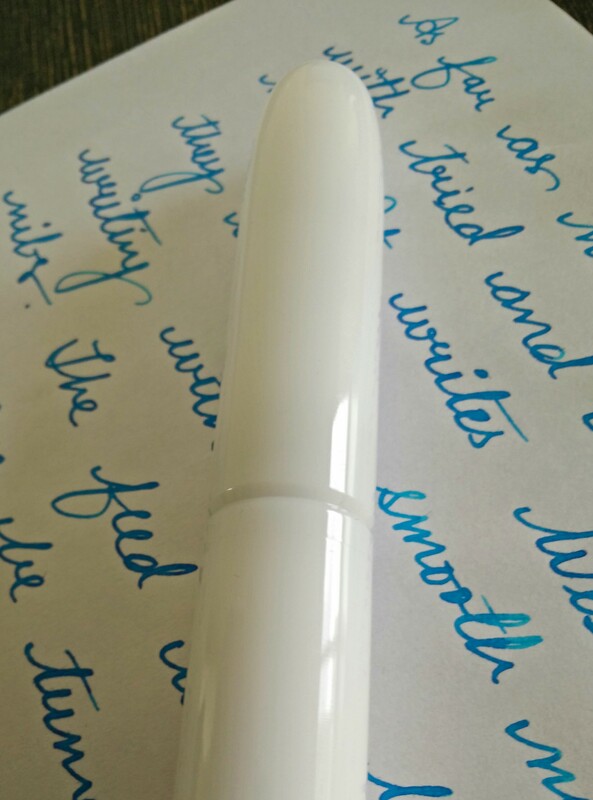 This is my first over sized pen and I am so happy with this. It is bound attract lot of stares. Its a stunner. Its Like YEAH LOOK AT ME I AM HERE. 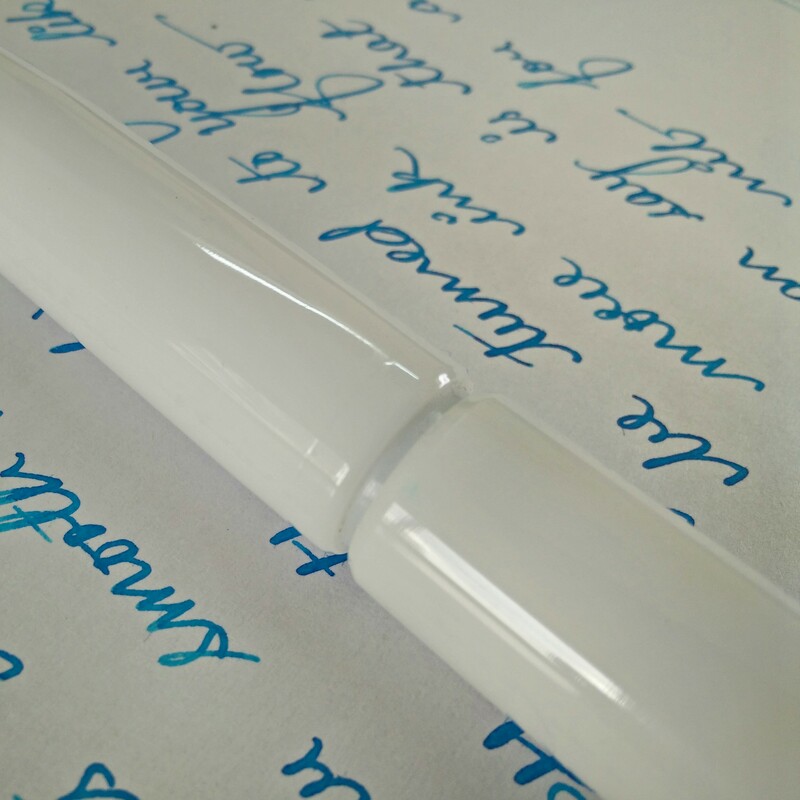 This pen is approx 170 mm long when capped and 160 mm when uncapped including. 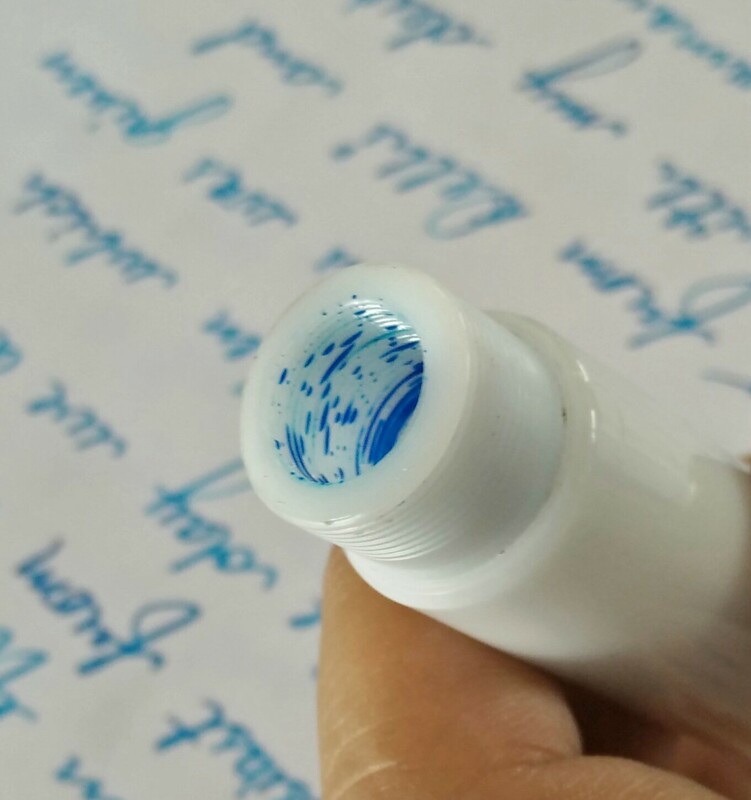 I would not even think of writing with this pen with cap posted at back. Nevertheless the cap posts at back quite securely. But its too big. 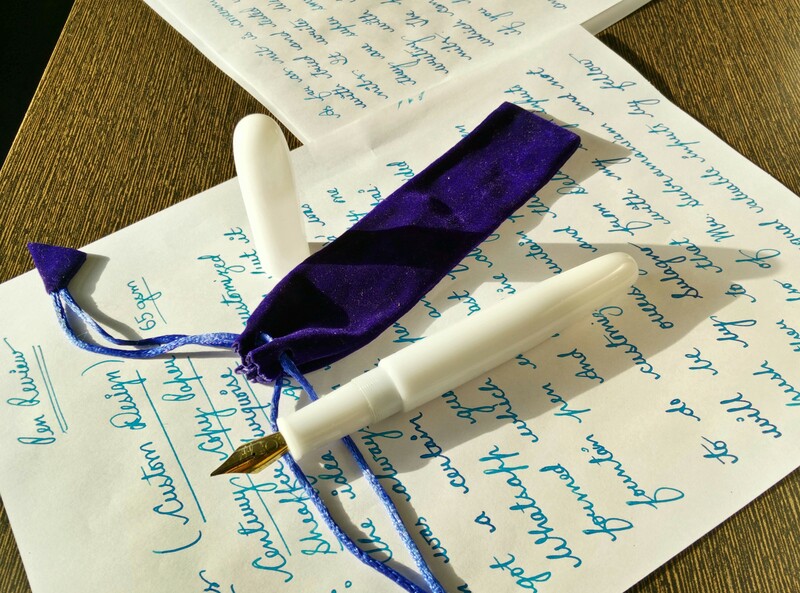 Yes the pen has certain heft due to its large size and even though its oversized pen it is not at all uncomfortable. 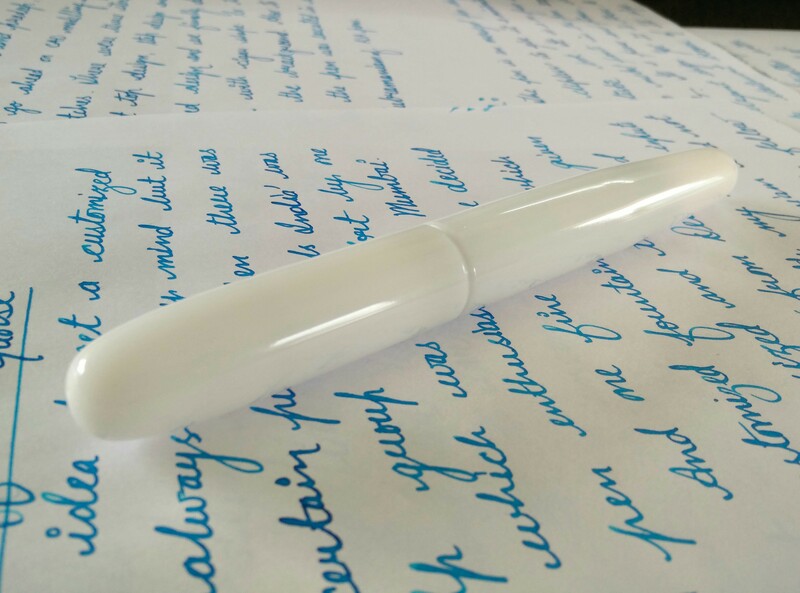 I am actually loving this pen like anything. 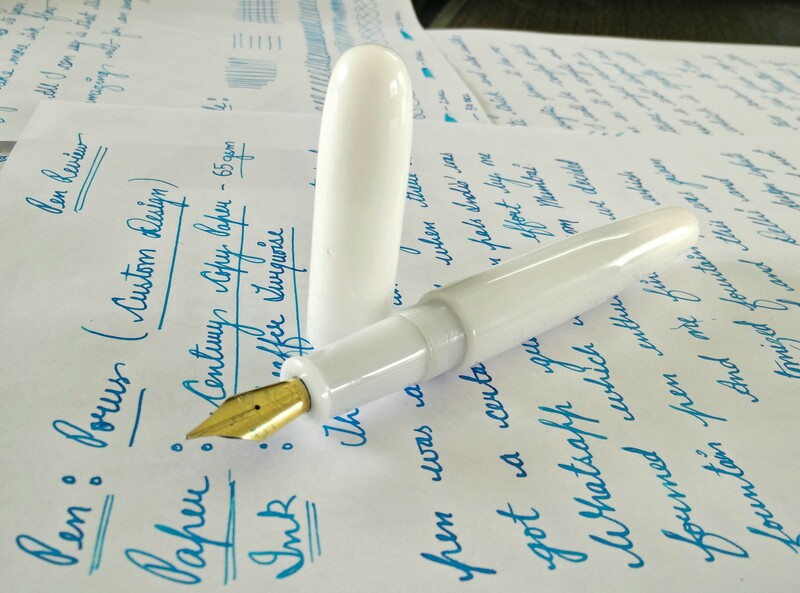 Its a must buy for people who love big pens and people who love white pens.And i would also definitely recommedn it to fellow with regular sized hands to try this pen. Try it with me in Delhi. Drop me a message, Iam 100% sure you will want to buy it. My guts say its a must buy pen. Its one big chunky beauty which is comfortable and well balanced at the same time. 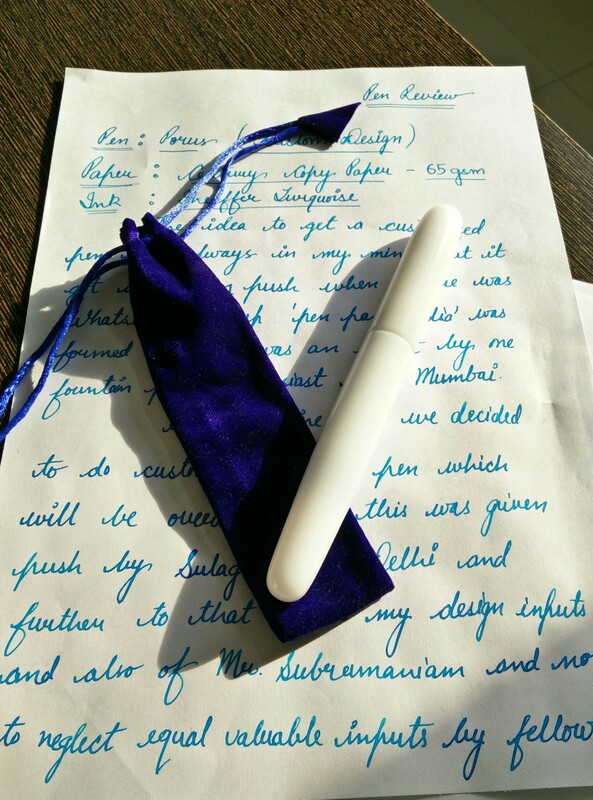 Pen of such proportions should have good amount of ink capacity and thus eye dropper mechanism justifies the pen. As far as staining is concerned i beleive low quality inks should be avoided. However the seller has assured that no discoloration will happen in exterior. 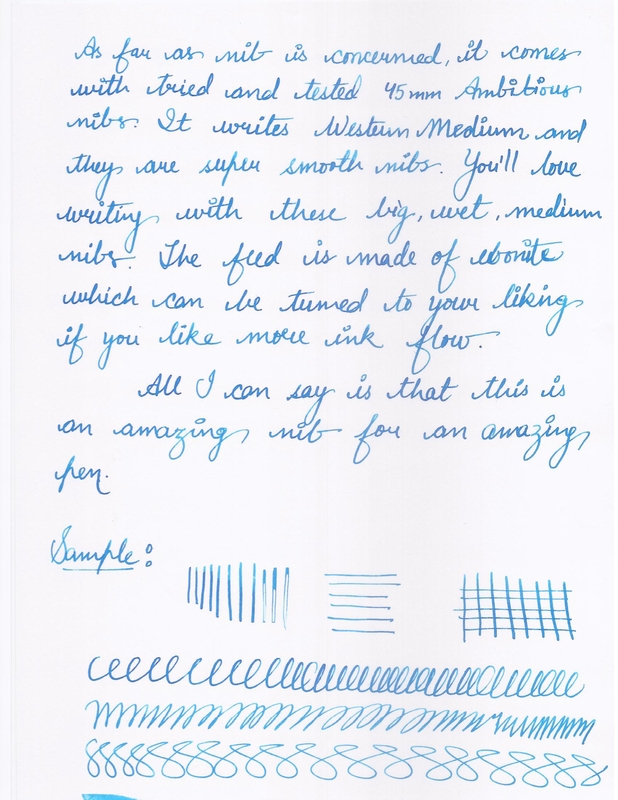 As far as the nib is concerned it comes with tried and tested 45 mm ambitious nib which are very smooth and wet nibs. It writes toward western medium. 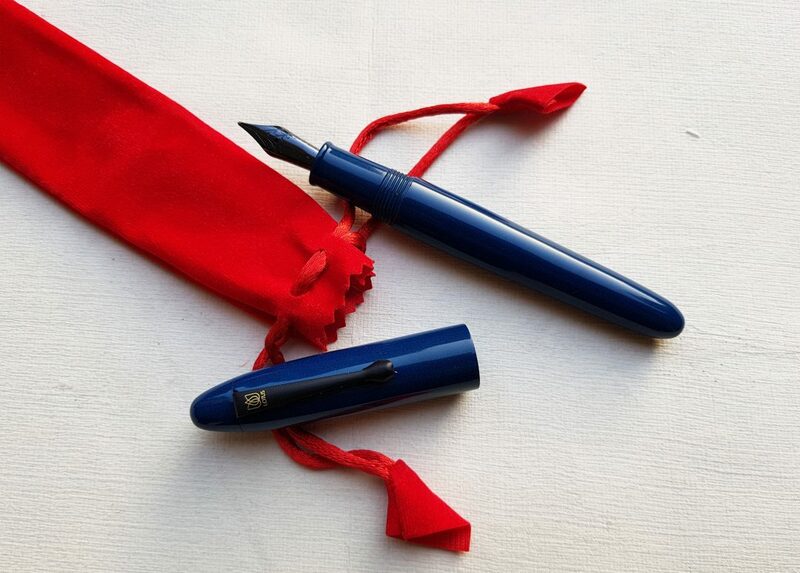 Feed is made of ebonite which can be tuned to your liking if you want more ink flow. 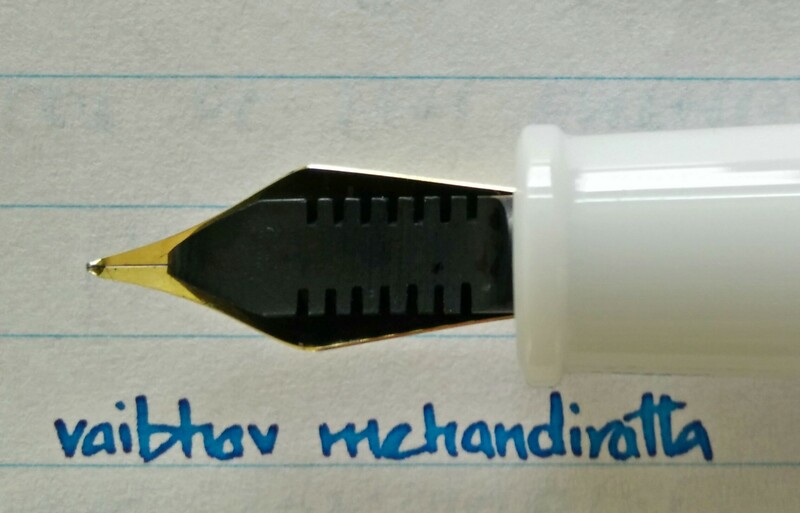 All I can say is that this is an amazing nib for an amazing pen. 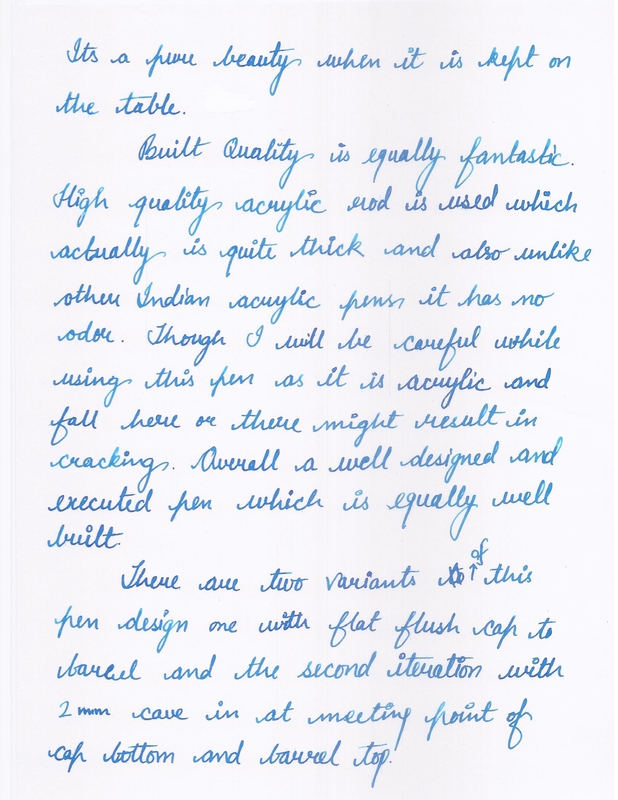 Below are images of my handwritten review which might give you idea of sample writing. Just to add to above detailed review. 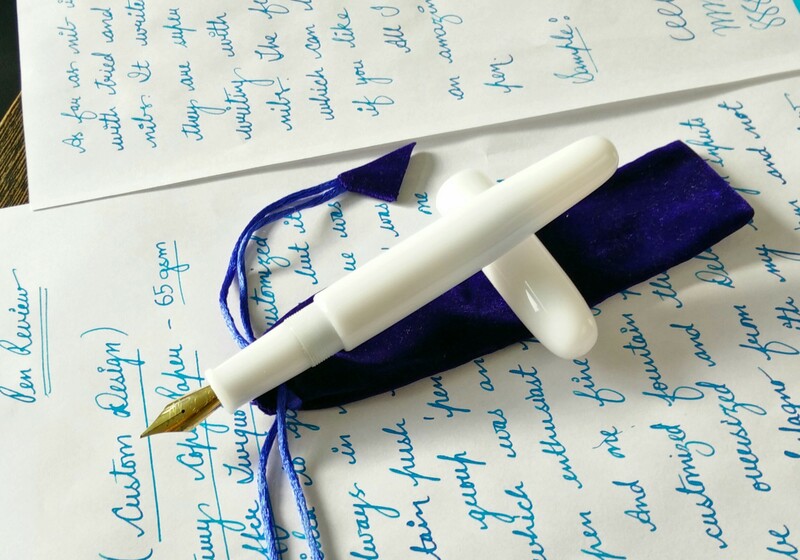 The pen is a pure white beauty which will prone to dust settlements which again can be easily cleaned is a must grab for ppl with large hands. I have small hands i love it. I love it when people are mesmerized by its looks. Its Pure and Calming. 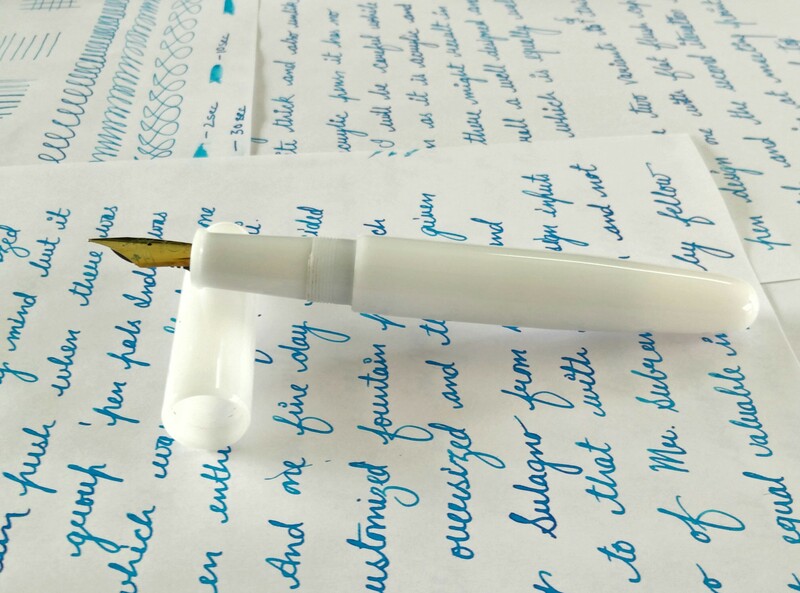 Now this is a pen review! Awesome handwriting! 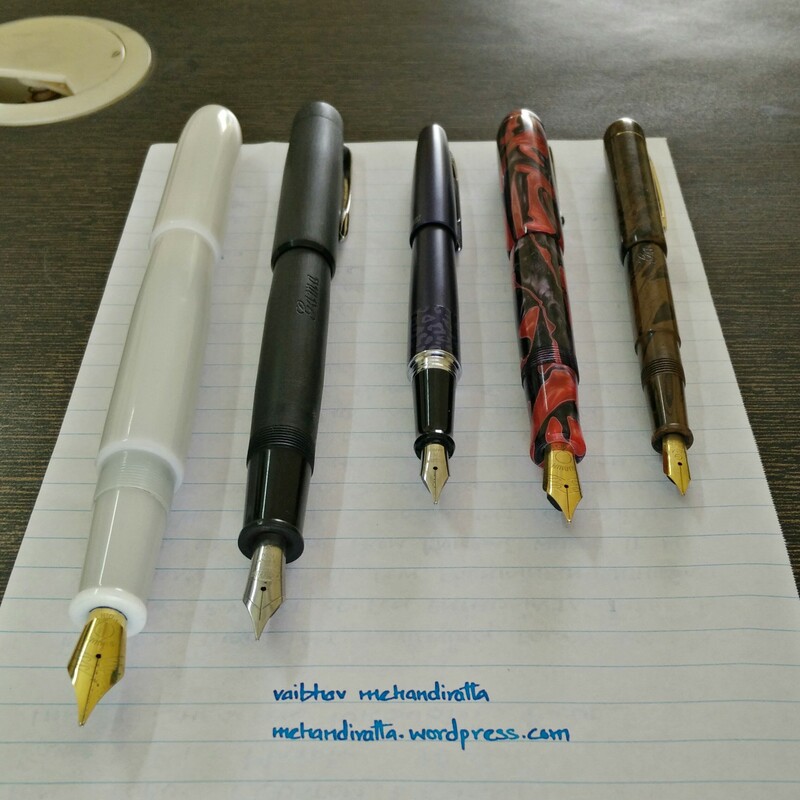 Vaibhav, truly an excellent and exciting review and good pictures of the Porus. Great job. That’s a great review! Waiting to get home and ink up my Porus!! This definitely feels like the first of many more customs designs to come from the house of ASA. A very thorough review. 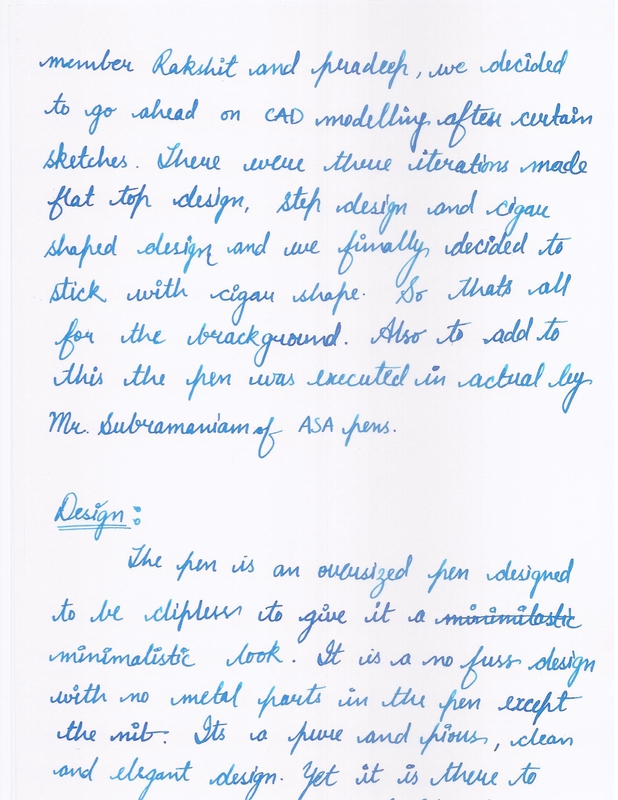 Kudos for being the man whose invaluable innputs and expertise with CAD made the pen take shape. Hope we’ll see more from you, and that too, very soon.